The critiques of Amazon as a Dickensian sweatshop for warehouse workers aren't new, but Amazon's growing size and power do make it more exposed to the impression that it's a corporate villain perched atop an army of low-wage workers. It seems Amazon.com Inc. really does care what people think about the company. The company said on Tuesday that it would increase minimum pay to $15 an hour starting next month for full-time, part-time and seasonal workers as well as those hired by temporary staffing agencies. The pay of workers already making $15 an hour in its warehouses and customer-service operations will increase as well, Amazon said. The company also announced hourly-wage increases for the United Kingdom. But Amazon went a step further than those retailers by raising its minimum pay immediately rather than over several years. 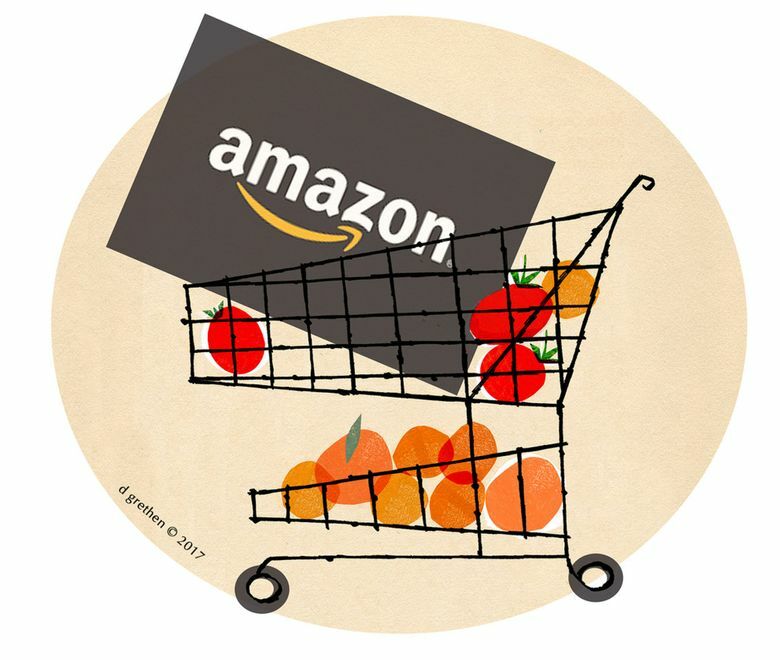 Amazon has nearly 600,000 employees — many of them working in package warehouses, the company’s chain of Whole Foods grocery stores and other places with large numbers of hourly-wage workers. The company also said it would use its significant muscle in Washington to lobby lawmakers for an increase in the U.S. federal minimum wage, which is $7.25 an hour. Those twin moves by Amazon, assuming the company is making a serious lobbying effort, will have a big impact. Amazon said the new minimum wage would affect more than 250,000 workers, plus the more than 100,000 seasonal employees it will hire for the holiday rush this year. The big unanswered question is why Amazon is making this wage increase, and why now? Worker paychecks are one area where Amazon is vulnerable to criticism, particularly as the company’s market value hovers around the symbolic $1 trillion stratosphere. The median annual pay for Amazon workers is less than $29,000 a year, the company disclosed recently. The critiques of Amazon as a Dickensian sweatshop for warehouse workers aren’t new, but Amazon’s growing size and power do make it more exposed to the impression that it’s a corporate villain perched atop an army of low-wage workers. Amazon, like other retailers, may also have concluded that it needs to raise wages to reduce turnover and attract better job applicants at the company’s crucial network of package warehouses and for positions in Amazon’s growing network of self-delivery operations. The people who sort, pack, ship and deliver orders for Amazon shoppers are crucial to Bezos’ desire to make Amazon the one-stop shop for every purchase people might desire. Amazon doesn’t want anything — including its corporate reputation — to get in the way of commerce. It makes good business sense, then, for Amazon to keep its worker army from defecting and to blunt criticism that Amazon is the bad guy of retailing. Shira Ovide is a Bloomberg Opinion columnist covering technology.